Need to send sensitive information through email? Normal email messages can be intercepted or hacked before reaching the recipient. However, you can use a free extension for Google Chrome, called SafeGmail, that allows you to send encrypted emails to anyone. Messages are encrypted and decrypted within the browser, so your message is only seen by you and the person to whom it is sent, and the messages remain encrypted in both the sender’s and receiver’s email inboxes The messages also automatically expire after a random amount of time. SafeGmail works with any recipient email provider. 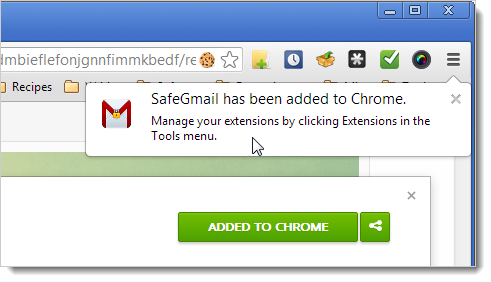 To install the extension, visit the SafeGmail extension page using the link at the end of this article. Click the Add to Chrome button. The Confirm New Extension dialog box displays. Click Add. A message box displays when the extension has been successfully installed. 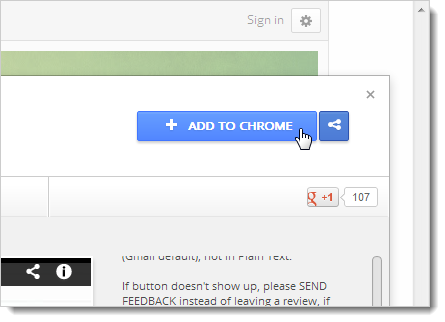 Restart Google Chrome and reopen your Gmail page after installing the extension. 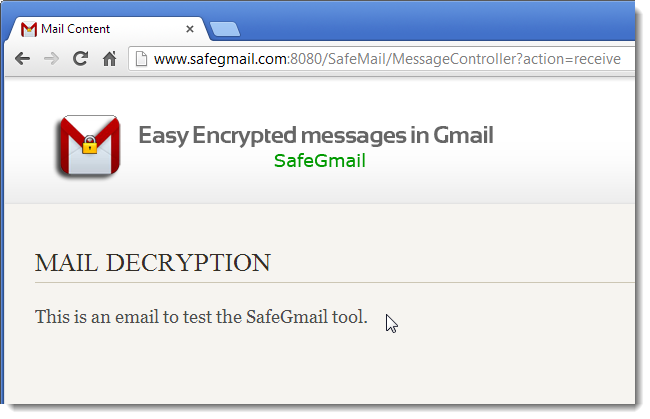 SafeGmail adds an Encrypt? check box to the Compose screen. Once you have written your email and entered one or more recipients and a subject, click the Encrypt? check box. Two edit boxes display for a Question and an Answer. Enter a question and an answer that only you and the recipient(s) will know. Then, click Send + Encrypt. NOTE: The answer is case sensitive. The encrypted email looks like the following image for the recipient(s). The encrypted email is included as text between dashed lines. Copy this text before clicking the Here link to access the email. 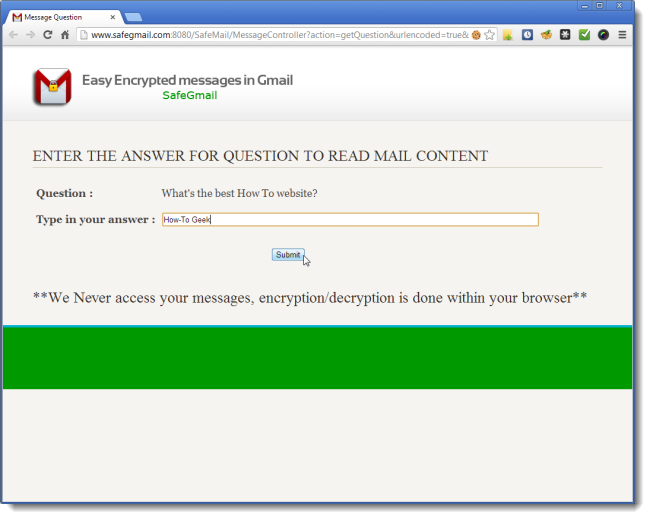 Answer the question and click Submit to access the a screen allowing you to decrypt the email. The Mail Decryption screen displays. 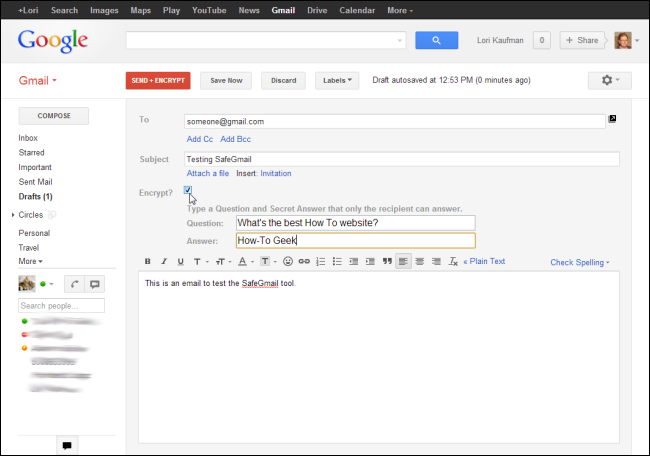 Paste the email content copied from the received email in the edit box and click Show My Mail. The decrypted message displays in the browser window. 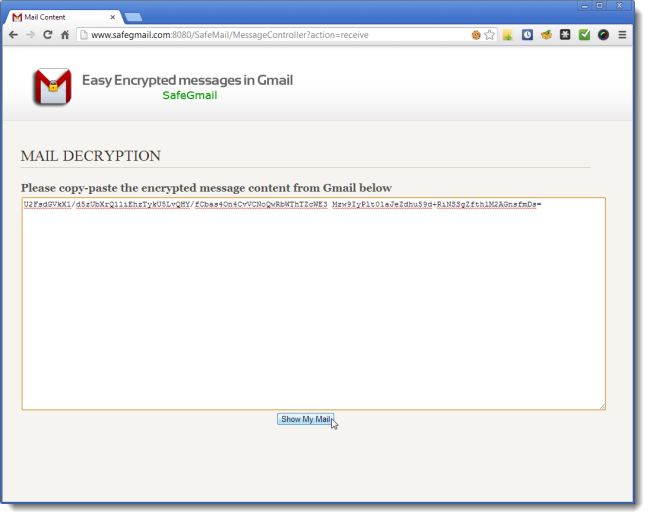 SafeGmail also allows you to enter special language characters in your email message to be encrypted.